Unlike many other designers who experiment with technology as a novel way of form making, Ziccheddu conceptually pushes her collection one step further by also incorporating technology into the garments themselves. Using a light sensor, Lilypad Arduino and nitinol, Ziccheddu creates fashions that collapse and pop-up, changing the silhouette in response to light. 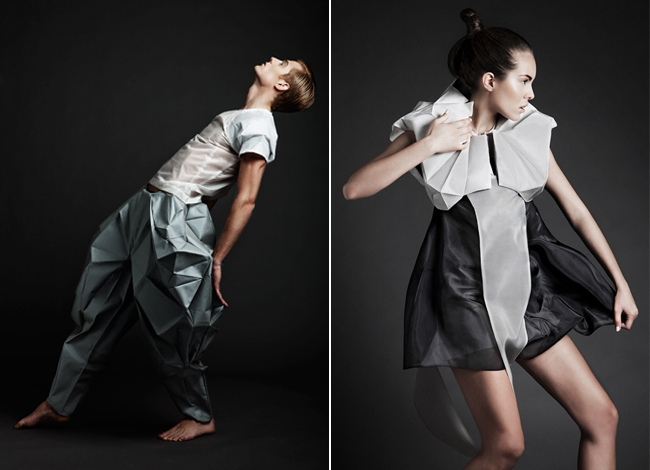 Ziccheddu’s collection is developed around the concept of hybrid clothes and a hybrid body. 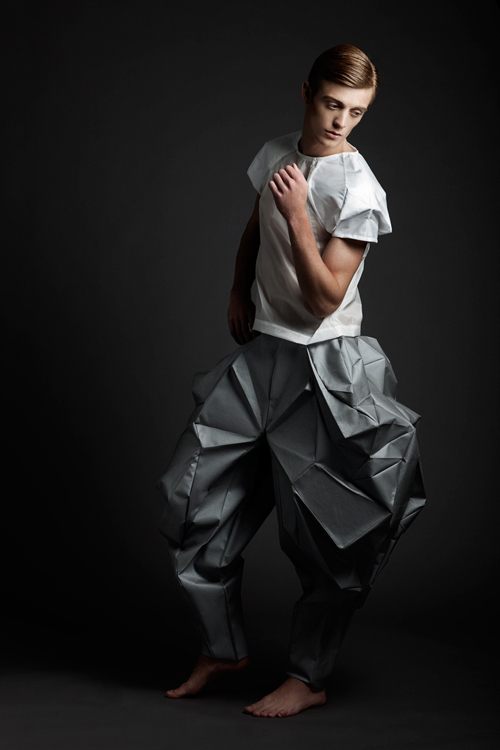 The results are beautifully architectured transformative fashion that, I may dare to say, is even wearable. Enjoy the concept video below.